Marshall Brodien the man who made TV Magic a house hold name in the 1970’s has made his last appearance on this mortal stage to reappear with all of the greats on the big stage of life today at the age of 84. Marshall Brodien lived a magical life and magic was his life. From his teen years performing at the famous Riverview Park as the talker on the grand 10 in one show thru his service in the Army. Marshall rubbed elbows with the big brass, politicians, movie and TV stars. His smooth style opened all of the right doors and he stepped thru confidently into every arena with his magic; stage, TV, night clubs and more. We here at Marshall Brodien’s Amazing Magic are deeply saddened at the loss of our father, friend and mentor. We are honored to continue the legacy of magic he created over 50 years ago. Our mission to bring awareness to the challenges of Alzheimer’s which robs us all of our loved ones. In life and in his passing, Marshall Brodien taught us all “It’s easy once you know the secret.” Now Marshall Brodien is entertaining the angels and fooling the greats as he now knows the greatest secrets of them all. 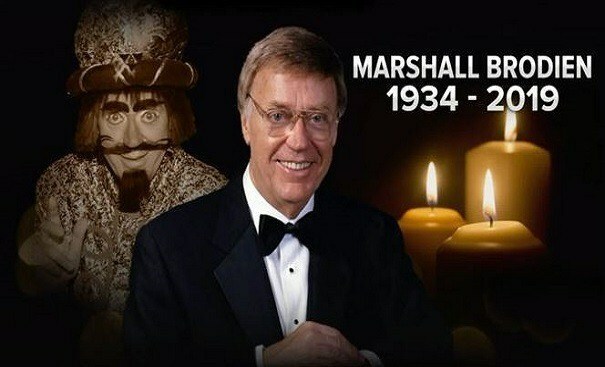 We here at Marshall Brodien’s Amazing Magic honor, love and respect Marshall Brodien the maker of magician’s and magic. God Bless you Marshall. You will be greatly missed and will live in our hearts forever. Our mission at Marshall Brodien’s Amazing Magic is to support organizations like the Alzheimer’s Association and local Memory Care and Hospice Care facilities like the one that Marshall Brodien resided in. He was battling Alzheimer’s with his family and friends loving support for over 12 years. You can now share the magic you remember as a kid with your kids and/or grandkids. That’s right, Marshall Brodien’s Amazing Magic is BACK! 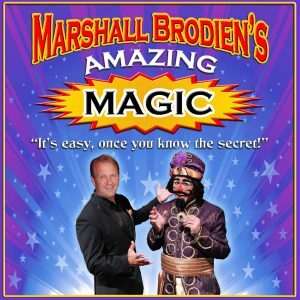 Thank’s to Marshall Brodien’s son, Marshall Brodien Jr. and his pal Wizzo The Wacky Wizard they bring you world famous Master Magician, Marshall Brodien’s Amazing Magic. Fool your family and friends with amazing tricks performed by the Master himself. 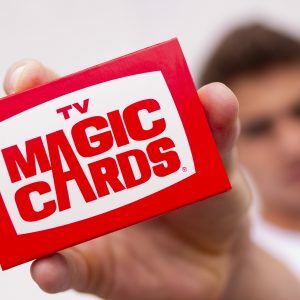 As a new magician, you will have access to magic mysteries and performance tips along with other fun exclusive magic related items and topics. Get AMAZING MAGIC delivered to your inbox. Stay up to date on public appearances by WIZZO. Receive notification when our first AMAZING MAGIC KIT is released! Born into magic at a very young age. Marshall Brodien Jr., son of world famous Master Magician Marshall Brodien, has spent his life around magic entertainers. 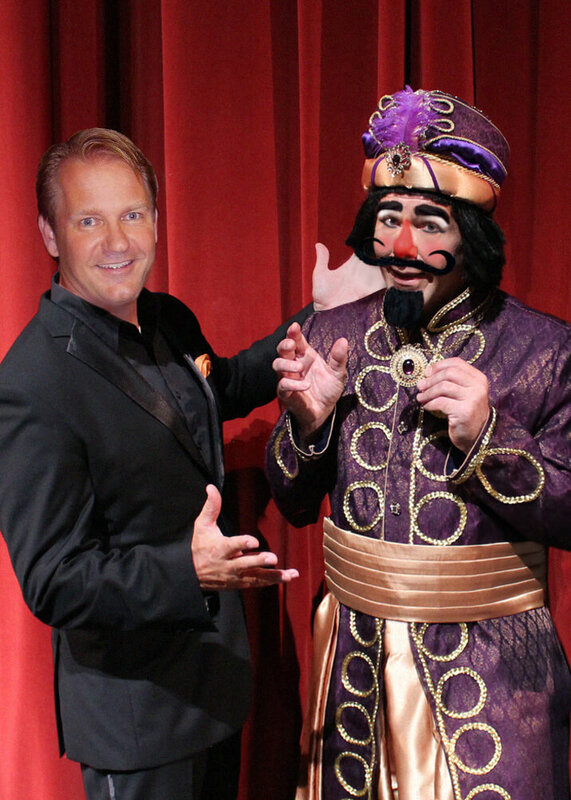 For over 20 Years he has performed magic at Chicagoland businesses, restaurants, and family parties. 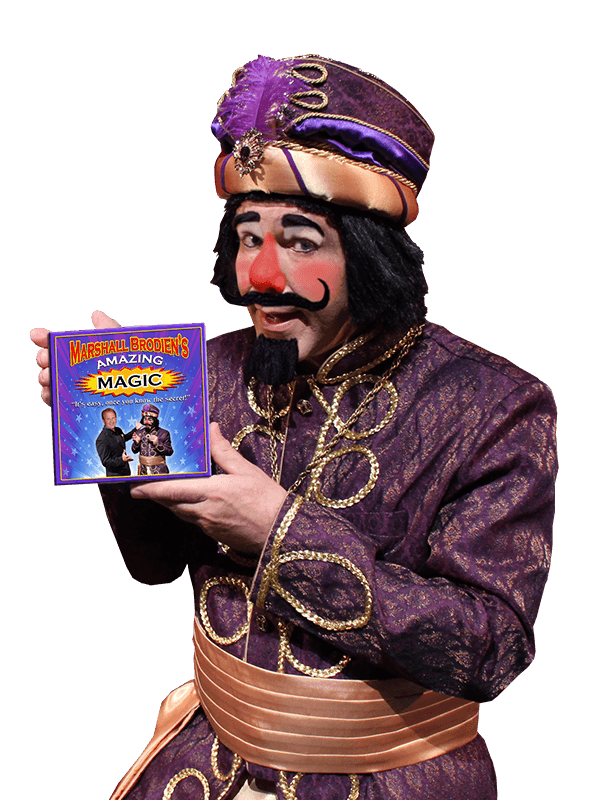 Just like his father, he performs Close-up table side magic Stage magic and Balloon twisting magic, while always making audience members the stars of the show. Magic fun for everyone!!! Mystery abounds when Wizzo is around. From the magical land of Arobia, Wizzo has been entertaining and bringing joy to millions for over five decades. You never know what Wizzo will “Doody, doody, doo” next.